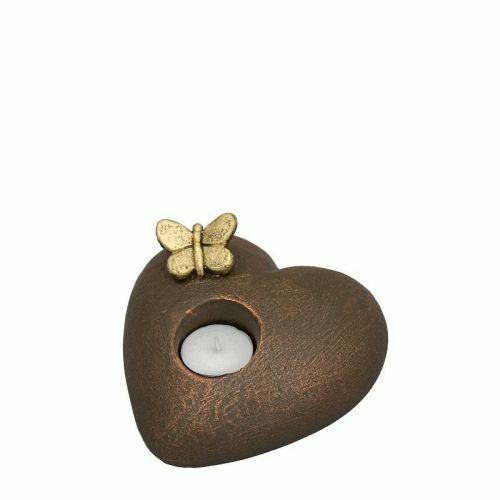 This small heart shaped ceramic urn features a gold butterfly and has space for a tealight candle which allows either a small group or individual the opportunity to use a burning flame as a symbolism in which to focus thoughts upon memories of a loved one. This urn is suitable for holding a token amount of ashes only. and is 9cm long. Please note that this product is not a stock item but is available for special order. Please allow 3 - 4 weeks for despatch.